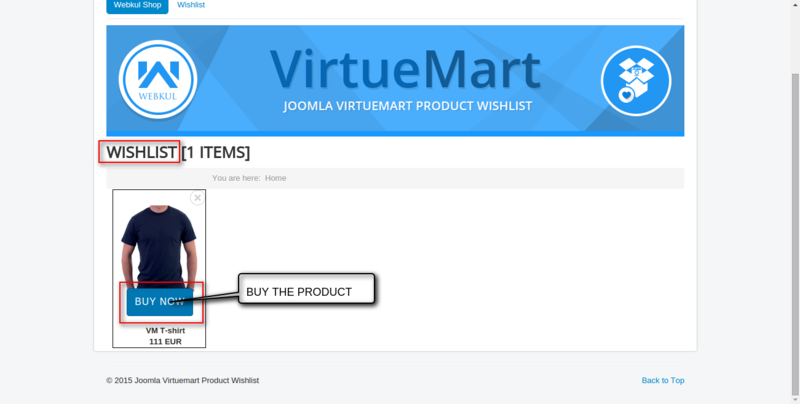 Joomla Virtuemart Product Wishlist :- With the help of this sterling extension for Virtuemart, user can add those products to the WISHLIST, which he wants to buy now or later. User can save the product in wishlist even when it is out of stock so that whenever product is available user can open wishlist and buy that product. Once any product is added to wishlist, need not to browse full site to find that product. Thus it saves a lot of time. User can add those products in the wishlist which he wants to buy now or later. If user wants to buy that product which is currently out of stock, he can save the desirable product in the wishlist. So that whenever product is again available in stock, he doesn’t need to browse full site to search for that product, can simply open the wishlist and can find products listed there. It provides Add To Cart option by Wishlist view. 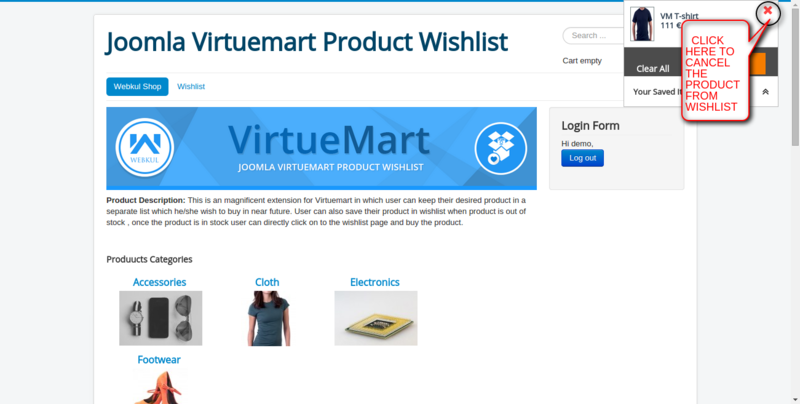 It gives a sidebar on Product view page at bottom to display the Wishlist products. User can also remove his desirable product from his wishlist. If user wants to buy the product which he added to his wishlist, he can select ‘Add to cart’ option from the wishlist and that product will be automatically removed from wishlist. 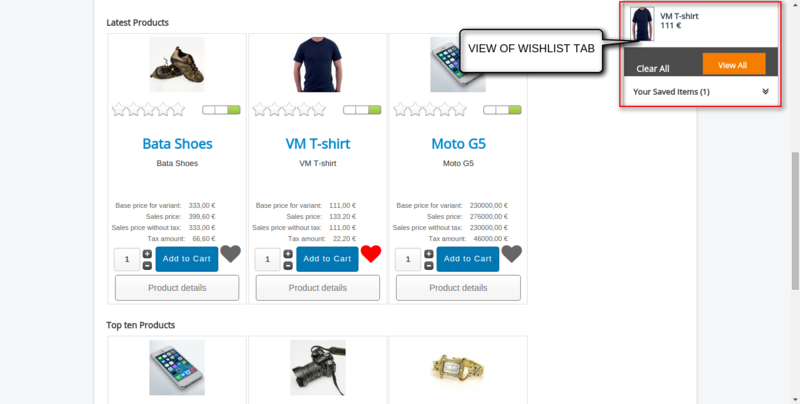 The snapshot displays the dropdown of wishlist. 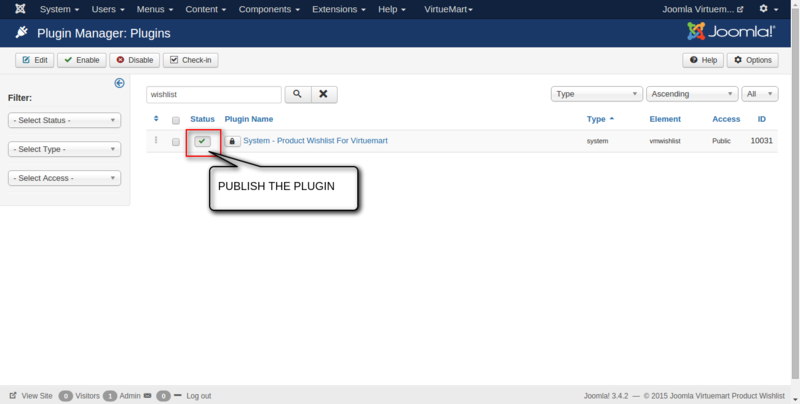 For cancellation of product from the wish click on cross button as displayed in the snapshot. 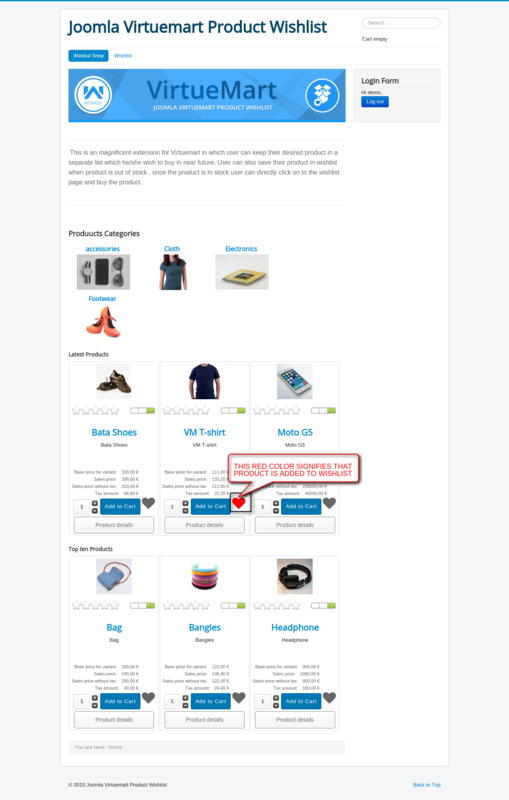 User has the option to buy the desired product directly from the wishlist tab as shown below.